“The Baader Meinhof Complex” is based on a bestselling 1985 novel of the same name by Stefan Aust. The film covers the early period of the German revolutionary organization, the Rote Armee Fraktion, which was active from 1970 to 1998. The film was nominated for a Golden Globe Award and was nominated for the Best Foreign Language Film at the 81st Academy Awards in 2009. While the group preferred to be called the Rote Armee Fraktion (Red Army Fraction) it was often referred to in the media as the Red Army Faction, the Baader-Meinhof Gang or Baader-Meinhof. The film opens with the origin of the RAF within the West Berlin and broader German leftist and anti-imperialist movements. Though out the 1960s large numbers of German young people became alienated by US imperialism in the Vietnam War and elsewhere and by authoritarian elements remaining in German society. Although the Federal Republic of Germany was a bourgeois democracy and had been “de-nazified”, much of post-WWII German society remained deeply authoritarian. Many former Nazis held elective or appointed positions in government and much of the legal system was dominated by Nazi era holdovers and deeply conservative legal philosophies. In 1966 Kurt Georg Kiesinger, a former Nazi, became German chancellor, a fact which outraged many leftists. There was also severe repression against the left, with the German Communist Party being banned in 1956 and known radicals banned from government jobs in 1972. The social democratic SPD was seen as complicit with a pro-NATO, pro-imperialist rightist regime. In addition to this many young people were upset about their parent’s or grandparent’s lack of resistance to the Nazis. Along with the political stagnation of the bourgeois parties and the seeming inability to break from Cold War politics, dissatisfaction with conservative West German society fueled the creation of a large leftist mileu in the 1960s and 1970s. 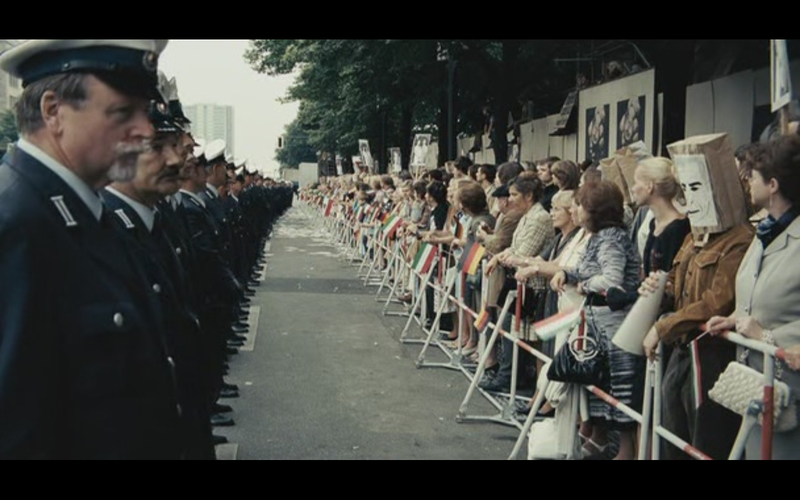 In June of 1967 the Shah of Iran visited Berlin. The film vividly portrays an incident in which the West Berlin police deliberately allow Savak, the Iranian security of the time, infamous for torture of dissidents and killing Iranians outside Iran, to brutally beat a crowd of protesters. In the melee which followed a protester, Benno Ohneburg was shot and killed without provocation by a West Berlin police officer, Karl Heinz Kurras. Kurras was later acquitted of the murder (after German unification it was revealed that Kurras was an East German double agent).These specific incidents outraged and radicalized many people. This led to the formation of what became the RAF. 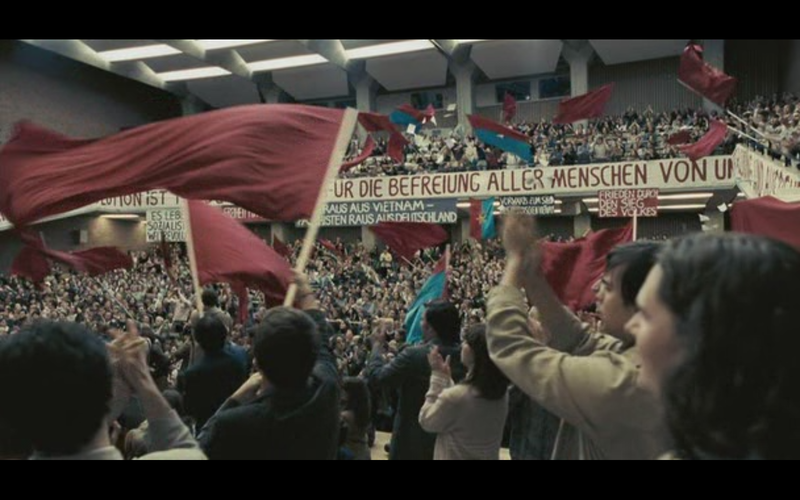 The film follows Gudrun Ensslin, Andreas Baader and others, active in the Berlin leftist scene, planting a bomb in a Frankfurt department store to publicize their protest against the harassment and killing of leftists. Ensslin and Baader are quickly arrested and put on trial. Ulrike Meinhof, a young left wing journalist, attends the trial and interviews Ensslin and Baader. She sympathizes with them and quickly comes to admire their dedication and how they’ve given meaning to their lives. Baader and Esselin are released on bail and after setting up a semi-communal household, attract a network of sympathetic young people. Shortly after this, egged on by a hysterical anti-leftist campaign by the right wing Axel Springer media group (roughly analogous to Fox News today in the US) a young right wing extremist shoots Rudi Dutschke, an activist and student spokesman popular within the German left. Dutschke suffered head wounds from which he later died in 1979 in London. 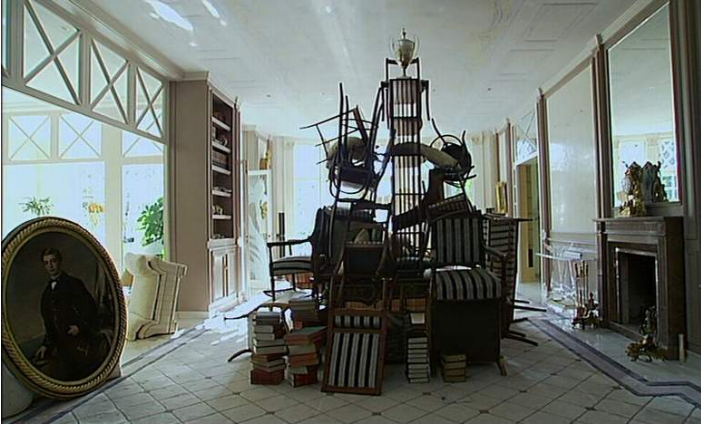 The rightist media campaign resulting in the shooting of Dutschke enrages Berlin’s leftists. Springer newspapers are destroyed and delivery trucks are sabotaged by groups of leftists. In retaliation for the shooting Baader and Ensslin plant a bomb in the Springer press room. This was meant to destroy property but not injure people. Unfortunately the Springer switchboard operator refuses to take Ensselin’s called in bomb threat seriously and several people are killed. Baader is arrested at a traffic stop. Ulrike Meinhof, using her credentials as a journalist, visits him in prison and with the help of sympathizers helps Baader and Ensslin escape. The RAF nucleus, which consists of Baader, Meinhof, Ensslin and now Peter Horman, spend a brief time in Rome. Their lawyer, Horst Mahler, tries to convince them to return to Germany and begin guerrilla warfare. At an outdoor Rome cafe Baader begins shouting ethnic slurs against Italians. Instead of Germany the core members go to Jordan to undergo military training with a radical Palestinian faction. The German’s cultural insensitivity and lack of discipline alienates them from their Palestinian hosts. Baader especially begins to act increasingly sexist and culturally chauvinist and becomes something of a bully. Peter Horman is the first to leave Jordan, with the covert assistance of the Palestinians, after falling out with the rest of his group and receiving death threats from Baader. The group returns to Germany and embarks on a campaign of guerrilla warfare. A series of bank robberies begins. An RAF member , Petra Schelm, is killed at a roadblock and an escalating war between the RAF and West German police and security ensues. Baader and a companion are arrested after a shootout with police and Gudrun Ensslin is reported by a store clerk who sees her gun while she is changing clothes at a department store. 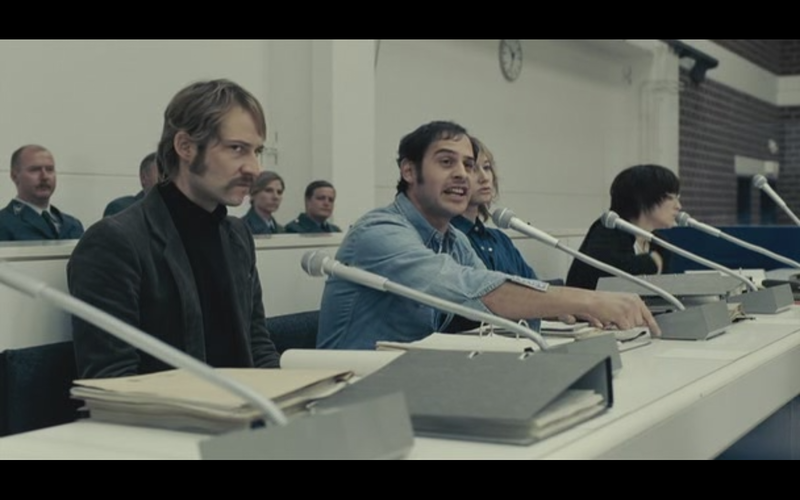 The leading members, Baader, Meinhof, Ensslin, and now Jean-Carl Raspe, are put on trial. Embarrassing the authorities, the RAF had a wide degree of sympathy from radical youth and even the general public. In a memorable scene after Baader and the other RAF members insult and public humiliate the judge the courtroom audience erupts in wild cheers. After an initially highly repressive prison regime at the Stammheim Prison, the now imprisoned RAF go on a hunger strike. Siegfried Hausner , one of the RAF prisoners, dies in an incident which sympathizers believe could have been prevented. This elicits public outrage and sympathy for the surviving prisoners. 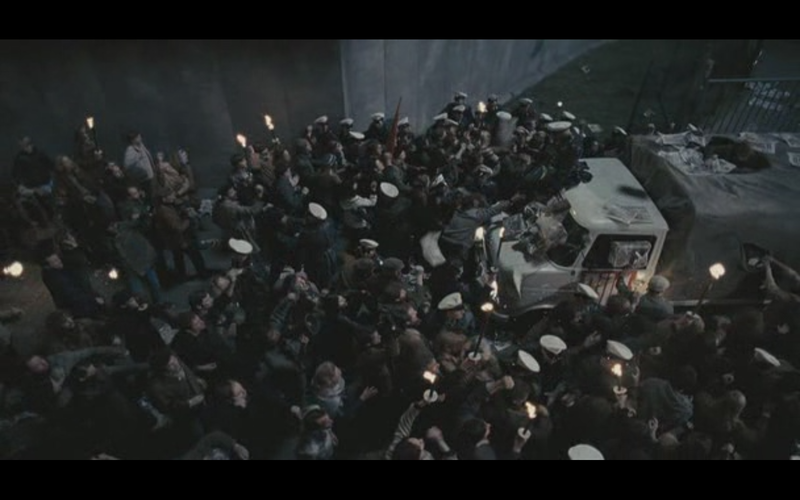 The authorities relent and allow the prisoners to meet and socialize. Meanwhile a second generation RAF continues the war outside the prison. The German embassy in Sweden is briefly taken over in a botched attempt to take hostages. An RAF member is brought back to Germany and dies in what is regarded as medical murder. Meanwhile Ulrike Meinhof, experiencing severe depression and after apparently having a falling out with the other RAF prisoners, is found hung in her prison cell. Not believing official report of Meinhof’s suicide and in retaliation for her death, the second generation RAF escalates their campaign. A federal prosecutor is killed, a bank president is killed in a botched kidnap attempt and a major industrialist, Hans-Meyer Schleyer, a former SS officer, is taken hostage to force the release of the RAF prisoners. Amid increasing tension, the Baader ,Ensslin, Raspe, and Irmgard Moller are convinced that the prison authorities will soon kill them. In an interesting scene Ensslin tells unbelieving visiting Protestant clergymen that she doesn’t have long to live. When the RAF together with radical Palestinians, hijacks Lufthansa flight 181 (an action which Baader strongly opposes) leading to an epic airplane hostage crisis, the RAF prisoners believe their deaths are inevitable. Shortly thereafter Ensslin is found hung in her cell and Baader and Raspe are found shot in their beds. Irmgard Moller attempted suicide by stabbing herself three times in the chest. Overall the Baader-Meinhof Complex is a vivid psychological portrayal. The film does not fully convey the political atmosphere creating the feeling of alienation which led to German youth radicalization. It does a good job of showing the various incidents, the killing of Benno Ohnesburg, the shooting of Rudi Dutschke, and other events and the escalating tension connected with the RAF war against the German state. 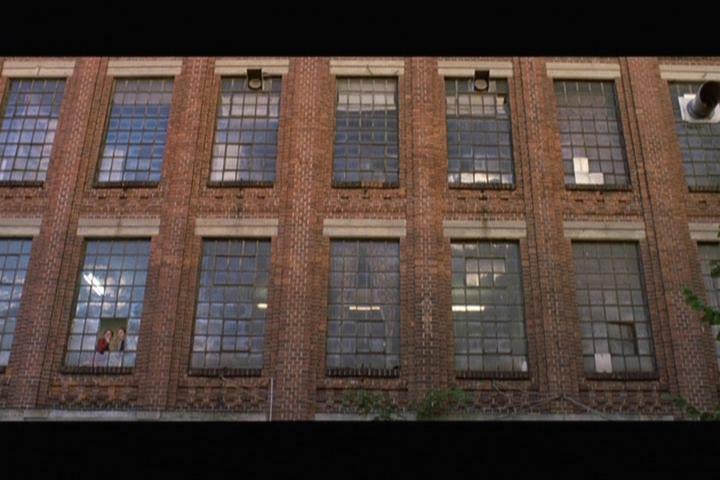 The film explores more the psychological drama of the protagonists in action, rather then what led up them to pursue their course of action. The actual RAF continued into a “third generation” up to 1998 when a “cease fire” communique was released by “third generation” members declaring that the “project is over”. Though out its existence the RAF is credited with killing 34 people. The alienation and radicalization of the RAF and their mileu are understandable but the tactics were wrong. Most Marxists would say that terrorist campaigns conducted by groups like the RAF are useless and counter-productive. Terrorism kills innocent people, provides an excuse for state repression, can divide the working class, and is incapable of accomplishing change in society. The Marxist method relies on education and mobilization of the working class as a class. The RAF , especially its founding members came from an intellectual middle class milieu. Unfortunately they came of age when the once vibrant historic German left had long since been crushed and been dissipated. They lacked contemporary models of struggle. Their activism was divorced from the working class, whom most Marxists would see as important to orient towards. This film does not adequately convey the political background leading to the RAF but it does a very good job of showing the organization itself. It is definitely worth seeing although it should be supplemented with further reading on this era and subject. The Legend of Rita is a film about a West German “terrorist” group who eventually ends up in the Eastern German Democratic Republic. The group, which is based off of real historical groups like the Red Army Faction and Revolutionary Cells, goes through a series of failures in West Germany and is in crisis until Rita meets up with the Stasi while in transit to West Berlin. The group goes through a disastrous jail break while trying to free their “leader” of sorts, and as a result, finds themselves in a difficult position. 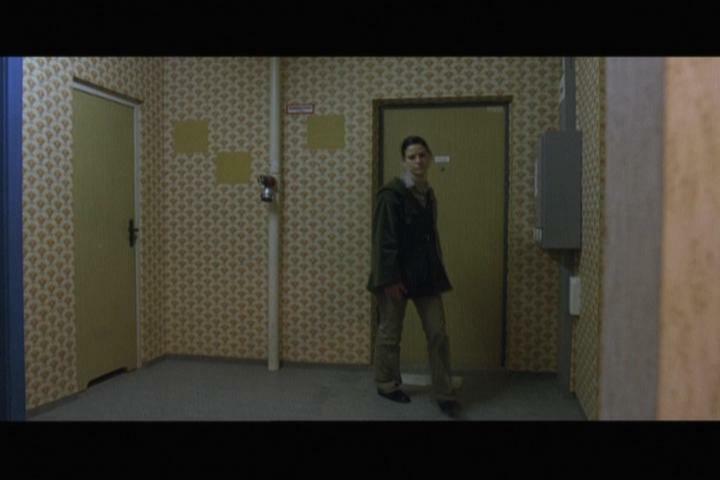 They travel to the GDR where the Stasi help them get settled in in Paris. After Rita has a deadly encounter with a police officer, they are again placed in limbo. The Stasi officer gives them all an offer: to live in the GDR as average working class citizens. The reaction by these revolutionaries says as much about the state of the Left at that point in history as it does about their characters. Most of them seem to outright reject the idea. They want to carry on the struggle in the West or go to a place where the Cold War has “gone hot.” They almost view their entry into the working class in a “Socialist State” as punishment for their failures, which considering their clear Marxist orientation, shows a significant short-coming in their analysis of struggle. The philosopher Slajov Zizek often says that the Left is constantly comfortable with its status resisting oppression and fighting it instead of offering a vision for an alternate world. This comes out quite clearly for this group, except for Rita. From this point on, the film revolves around Rita’s new life in the East. The Stasi officer, while prepping her for her new life, says something along the lines of “We’re for the people, that’s why they’re against them” in response to a question Rita has. It’s interesting to see this ideological phrase here, as the Stasi are not portrayed in a negative light throughout the film nor is East Germany. The first shot we see of an East German worker is that of Tatjana who looks worn out and depressed. It seems that this was a very intentional first glimpse into the life of the East German working class. What follows is a scene of Tatjana’s coworkers picking on and making fun of Tatjana. For Rita, who has been a Leftist revolutionary, she seems confused by this and asks them why they pick on her, and doesn’t seem satisfied with the answer (which is essentially just a continuation of picking on Tatjana). Rita and Tatjana develop a close personal relationship that is compromised when Rita discovers that East German television is broadcasting news from the West about her fugitive status, and is identified by one of her co-workers. Rita is then required to once again relocate and take on the identity of an East German who is not from the West (as opposed to her first fake identity). She ends up as a day care worker, and develops a relationship with a man who she ends up almost getting married to (there’s some interesting dialogue that exposes the man’s view of gender roles that are quite conservative given the nature of the East German state and it’s more balanced gender relations than that of it’s Western counterpart). By chance, she runs into one of her former comrades who now has a child. Rita congratulates her and tells her that she’s glad to see her happy, when her friend responds with “what gave you that idea?” Their farewell scene is bitter sweet, with the upset friend riding away on the bus with the East German anthem playing ironically in the background: as a sort of display of the awkward position of Rita, and East Germany at that point in general. The film uses Rita to represent the socialist ideal in a way. The bleakness and rigidity of East Germany is not ignored, but it is not a film that is a vulgar anti-Communist film like most about such subjects. It is considered to be a part of the Ostalgie phenomenon, where East Germany have a certain nostalgia for the former East. That’s not to say that they wish the Stasi were back, monitoring their lives, but they recognize how their lives were indeed better under even a rigid socialist state. 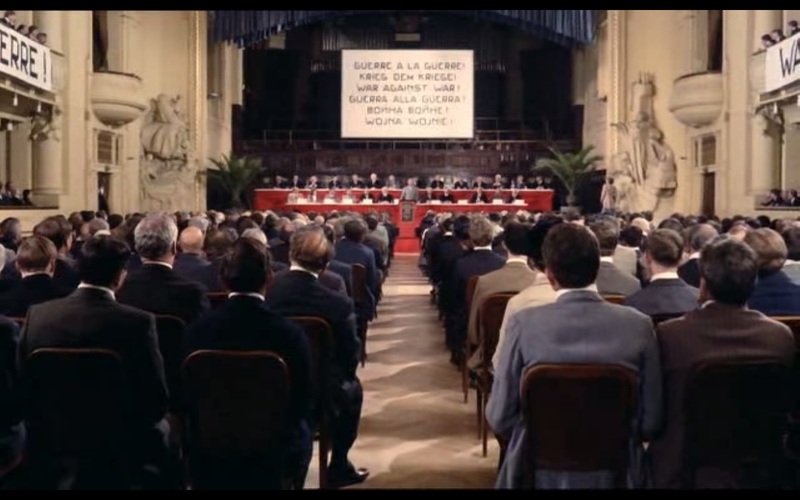 This film does an excellent job at capturing the mood of East Germany: while “the game was up” for the ruling party in the East, there was still something redeemable about the idea of a workers state enough to where a film like this could be made so many years later and portray the East in a “not-so-bad” light.